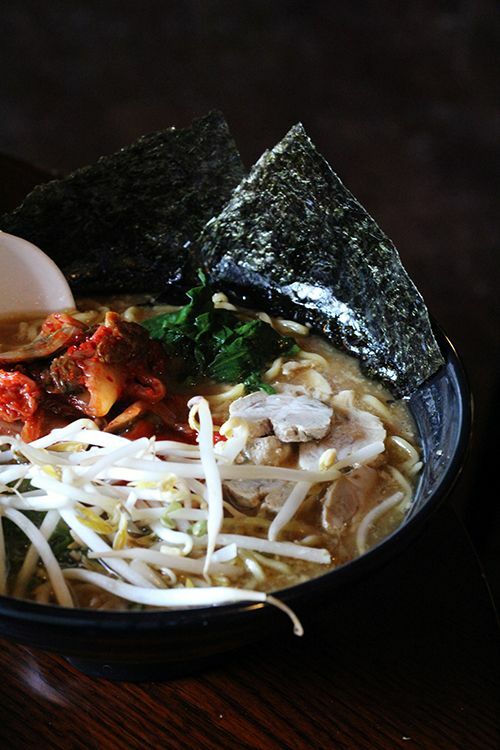 There’s a new player in the ramen game here in town. Anyone remember the time when there was no good ramen in Edmonton? It wasn’t too long ago…and now it feels like more restaurants are offering the bowls of hearty noodle soup on their menus. Right in the heart of Old Strathcona is a small Japanese restaurant, opened three weeks ago, owned by a couple from Japan. After a tip off by Linda & Twyla, I knew I had to stop by and see what they had to offer! I was pretty excited upon hearing that bowls of ramen are available for just $10. The restaurant has taken over the space previously occupied by Two Rooms Café, and I showed up with a healthy appetite for lunch this past Thursday. 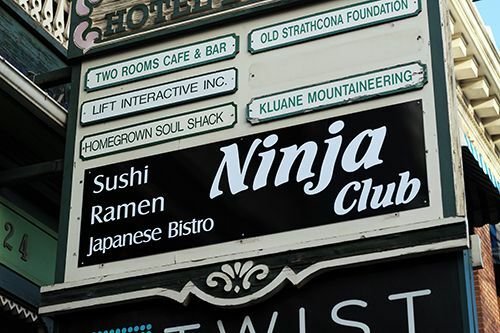 Ninja Club wasn’t very busy for lunch hour and one of the owners said it has been quite slow since opening. But shortly after we were seated a group of Japanese girls came in to eat and I felt like it was a sign of good things to come. The first page of the menu focused on the different types of ramen available (shoyu, miso, kimuchi, tantan), so it seems like they are trying to market that as their specialty. 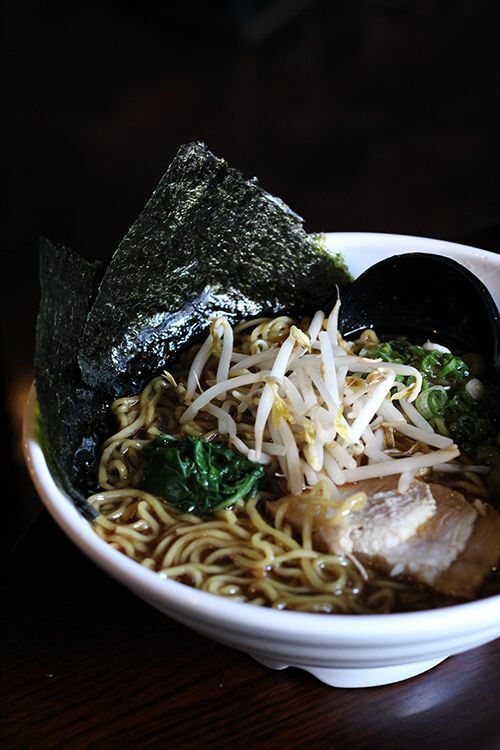 On the ramen menu each bowl is comprised of the standard broth, noodles, some form of protein and bean sprouts. There are add-ons of a boiled egg, chicken, beef, pork, and corn available at a price of $1 each. My friend Diane and I each ordered our own bowls and wanted to try out their selection of sushi as well. After all, we were in it for the authentic Japanese meal experience! Diane ordered the Shoyu Ramen ($10), which always features a soy sauce based broth. This bowl at Ninja Club comes garnished with char siu (BBQ pork belly), green onion, spinach, bean sprouts and two squares of roasted nori. The bowl came steaming hot to the table and looked pretty promising! The broth was clear and the flavour was satisfying, but it lacked depth. We were looking for the umami that we usually find in ramen broths, and unfortunately it wasn’t there. Don’t get me wrong, the soup was still great to accompany every bite in the bowl. 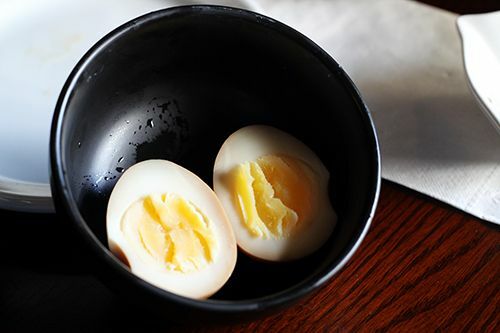 The egg noodles were of the average thickness and had that elastic bite to them, keeping their texture throughout the entire bowl. Fairly satisfying for the $10 price tag. I opted for the Kimuchi Ramen ($12 - how cute is their spelling?!) with a side of pickled boiled egg ($1.50, above). This bowl of ramen was served with some spicy ground pork, kimchi, char siu, Japanese chili oil and the typical green onion, bean sprouts, spinach and nori. The broth in this bowl is a miso soup and one sip revealed the complexity in flavour that was lacking in the shoyu bowl. The miso and spicy oil added depth and additional dimensions of flavour that I quite enjoyed, and like the first bowl, these noodles retained their elastic bite to the end of the bowl. Now about that egg - the pickled version of the boiled egg is not advertised on the menu, but is available if you know to ask for it! According to the owner the egg is marinated in a mix of Japanese spices, but I could mostly taste a savoury soy sauce with each bite. The yolk was a bit overcooked and not oozy the way I like it, but it was not overcooked to the point where the yolk was solid. Overall, it was a good bowl of ramen. My only big complaint for both bowls would be the char siu - it's very lean and lacking in flavour. The owners are working to improve it, as they were unsure of what Edmonton was ready for! Of course we had to try out their sushi as well since they were advertising their 'ausentic' (so cute!) sushi made with fresh fish daily! 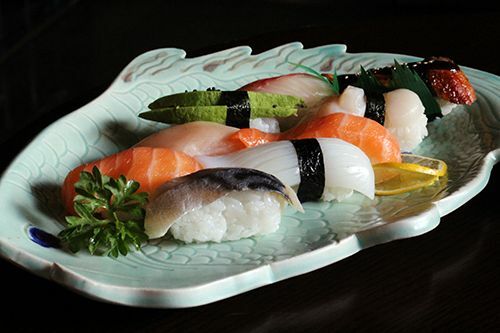 We chose to go with the Marina Plate ($16) which features 8 pieces of nigiri chosen by the sushi chef. The nigiri were presented beautifully on a plate shaped like a fish, and they included an extra avocado nigiri for us on the house. The selection chosen for us was: salmon (2x), tuna, mackerel, squid, avocado, scallop, red snapper, and unagi (BBQ eel). The rice was well seasoned, soft and the perfect size to hold the large pieces of seafood. We found the tuna and mackerel to be quite fishy tasting, moreso than usual. Otherwise the other pieces were good, but nothing extraordinary. However, I will say that I typically am a huge fan of red snapper and leave eel alone, but I would take this unagi nigiri over the red snapper anyday. It was fantastic. In conversation with one of the owners, the broth for the ramen is made in house, but the noodles are brought in from elsewhere. She did assure me that the noodles come in fresh and not dried, and they're quite pleased with the manufacturer that they are ordering from, and the ramen noodles that day made me pretty happy too. 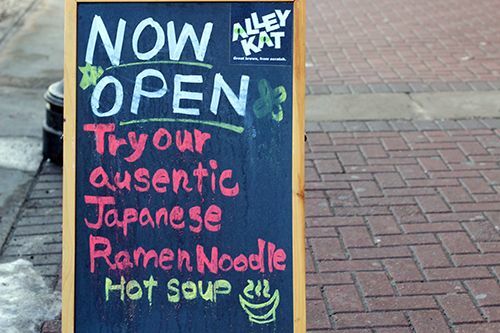 If you're in the mood for some ramen, definitely give them a try. It may take a bit longer to work out the kinks and improve the char siu, but you get a pretty solid bowl for $10-$12. As for the sushi it is pretty standard, but the prices are quite attractive. Rolls are priced in the range of $6.50-$16, nigiri combo plates range $12-$16, and bento boxes are $10. The menu is small, but it covers a wide enough range that there should be something for everyone. Give them a try and let me know what you think! I couldn't agree with you more! There is nothing like a steaming bowl of noodle soup when its cold out which in Edmonton is often! 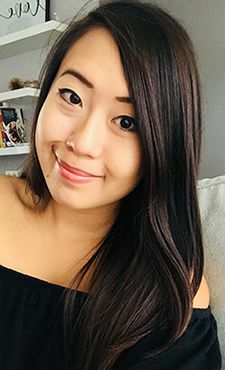 Thanks so much for doing this series Andrea!